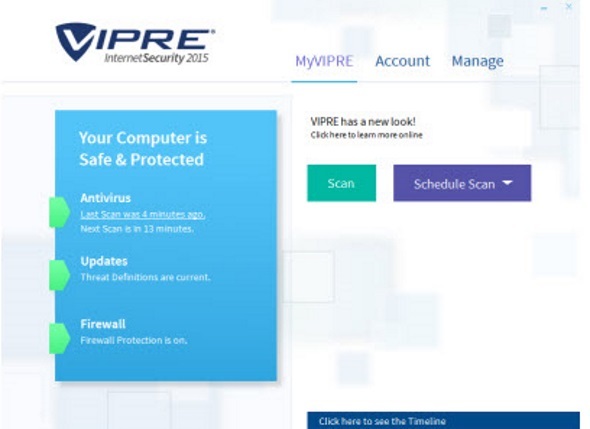 VIPRE is a recent up and comer in the antivirus world. Developed by Threat Track Security, Inc. VIPRE antivirus software has been in development for almost 10 years. The company originally gained traction by developing high performance, powerful antivirus solutions for business PCs and Android phones. VIPRE antivirus was started in 2008 in the Clearwater, Florida. The company still resides there today and currently processes over 200,000 new threats every day. Pros: Easy to install and manage. Lifetime license option. Above average file detection rates. Android Support. Cons: Below average real time detection rates. 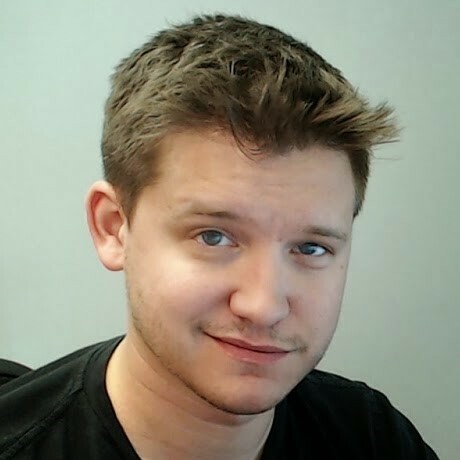 On average, uses more system resources than other packages. Don't like reading? Watch our VIPRE video review instead! VIPRE Antivirus 2017 - Includes full antivirus protection, online identity and financial protection, e-mail, chat and spam blocking for 1 PC. VIPRE Internet Security 2017 - Includes full antivirus protection, firewall protection, online identity and financial protection, social media protection, e-mail, chat and spam blocking for up to 3 PCs or Devices. VIPRE Internet Security 2017 Lifetime License - Includes full antivirus protection, firewall protection, online identity and financial protection, social media protection, e-mail, chat and spam blocking for up to 3 PCs or Devices for no annual fee. VIPRE's antivirus products is about as easy to use and intuitive as the big players in the market such as Norton, Kaspersky and McAfee. 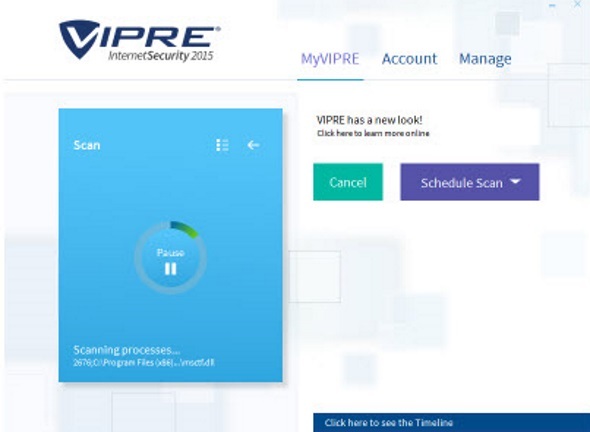 This same interface is included in all of VIPRE's security products: VIPRE Antivirus 2017, VIPRE Internet Security 2017 and VIPRE Internet Security 2017 Lifetime License. At first glance, the color scheme of VIPRE may be somewhat uncomfortable. They definitely made some unique choices with color overlays that affects readability. However, with just a few clicks, users can still easily perform quick scans, full scans or performance optimizations of their system. VIPRE's products also have a moderately quick installation. At the time of installation, all of the updates will be downloaded and installed as well. VIPRE's dashboard also allows users to easily run Antivirus scans and dig into deeper, more configurable settings. The dashboard is clean, somewhat easy to read (due to color scheme) and intuitive. 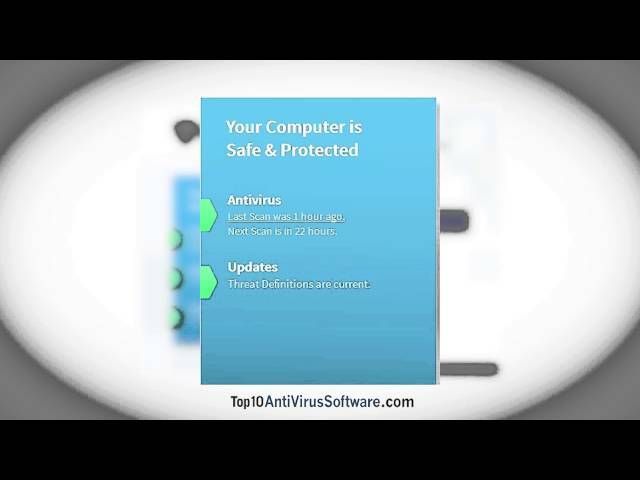 According to AV-Comparatives, a prominent 3rd party virus testing company, the antivirus package included with VIPRE Antivirus 2017, VIPRE Internet Security 2017 and VIPRE Internet Security 2017 Lifetime License was above average for traditional virus file detection but came in last place for real time scanning protection. It's also important to note that VIPRE's antivirus packages use more resources than other antivirus products. This means users will experience more system slowdown due to installed protection utilities. VIPRE provides customers with less support options than their competitors for VIPRE Antivirus 2017, VIPRE Internet Security 2017 and VIPRE Internet Security 2017 Lifetime License. The website includes knowledgebase articles and frequently asked questions. Depending on their comfort level, VIPRE users can use the online chat system, support ticket or e-mail system. VIPRE does not offer premium support services to end users. VIPRE provides average protection at acceptable prices. If you're looking for a basic, cost-effective antivirus package and above average file detection rates, then VIPRE may be for you. If you're interested in real time protection, the below average detection rates for real time scanning virus detection may be an issue for you. Don't forget, VIPRE also offers a 30 day money back guarantee for VIPRE Antivirus 2017, VIPRE Internet Security 2017 and VIPRE Internet Security 2017 Lifetime License. This should give users a good amount of time to see if VIPRE is right for them. If not, you can get your money back, no questions asked. Here's the bottom line: VIPRE offers average virus protection at a great price. Certain VIPRE packages include full antivirus protection, online identity and financial protection, firewall protection, social media protection, chat and spam blocking, and e-mail protection for up to 3 PCs or Devices for no annual fee. VIPRE may have below average real time file detection rates, but above average file protection and an option for a lifetime license make it a viable option for those looking for a decent virus detection package and no annual fees.